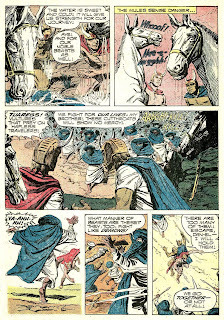 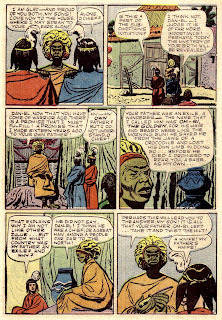 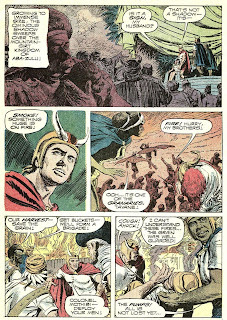 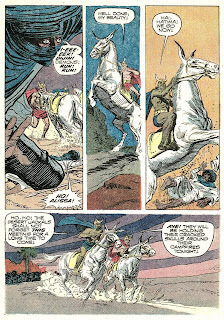 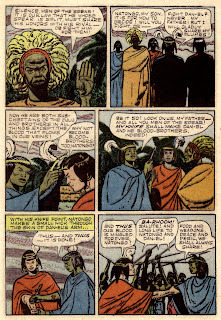 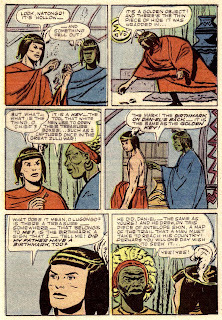 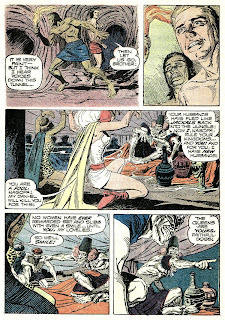 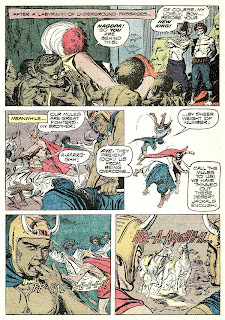 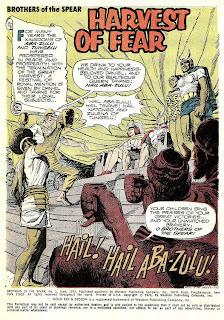 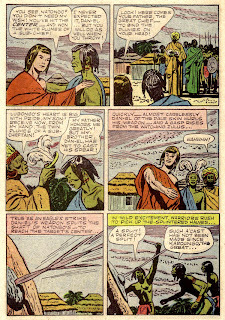 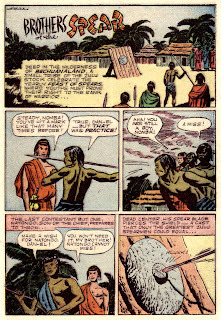 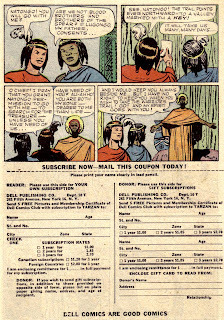 Brothers of the Spear was the long-running back up serial in Dell's TARZAN comics, beginning in issue #25, October 1951. 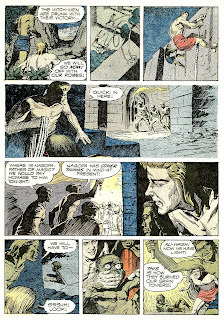 Below are the scans of the initial episode from that issue. 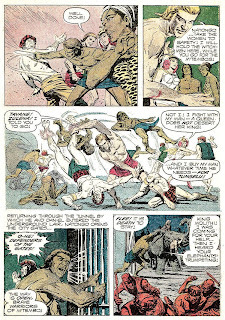 It's drawn by longtime Tarzan artist Jesse Marsh. 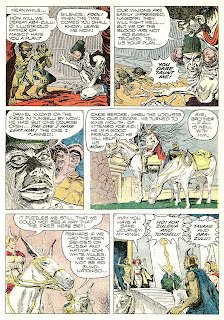 Marsh died in 1966 at age 59. 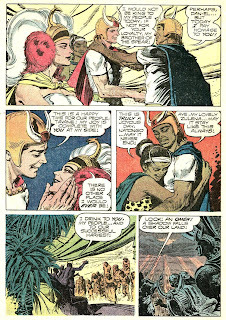 In 1972 Edgar Rice Burroughs Inc., owner of the Tarzan character, licensed it to DC Comics. 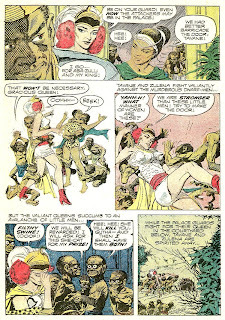 Brothers of the Spear was a property owned by Western Publishing, who published the Gold Key line of comics. 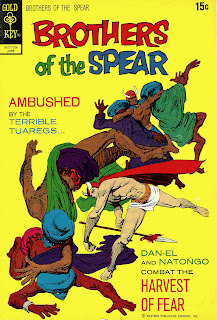 BROTHERS OF THE SPEAR #1 was cover dated June 1972. 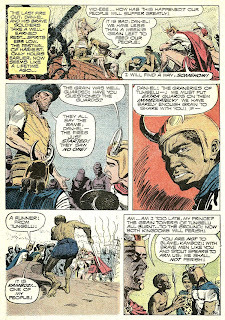 Another Jesse, Jesse Santos, a Philippine artist born in 1928, picked up the pen to draw the feature. 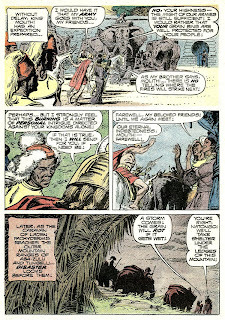 The comic lasted for 18 issues, but Santos was not the artist on the entire run. 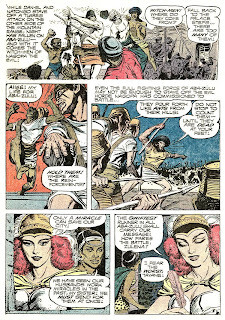 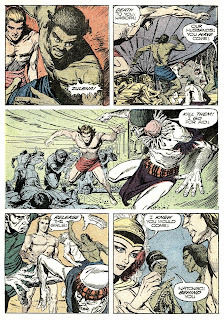 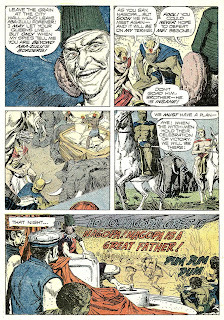 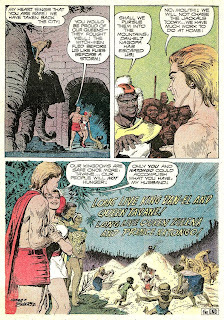 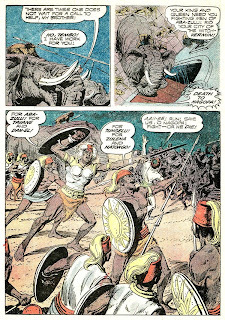 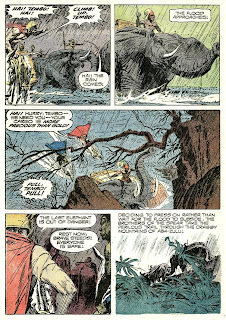 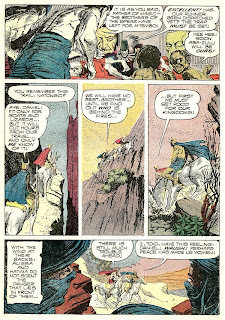 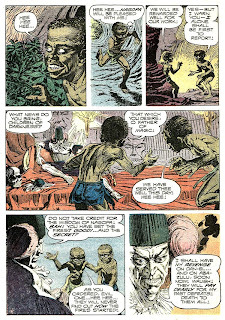 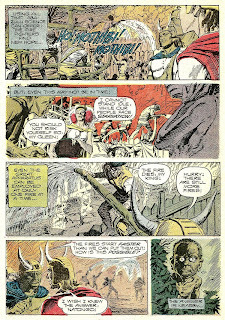 The strip from TARZAN #25 is taken from an Internet download, and BROTHERS OF THE SPEAR #1 is scanned from my copy. 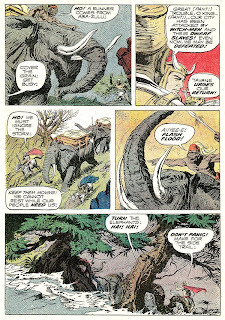 A month ago I posted another Jesse Santos-illustrated comic, TRAGG AND THE SKY GODS #1. 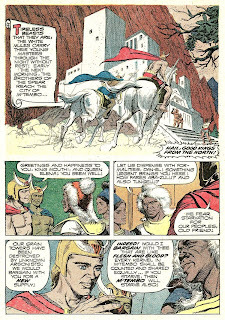 Copyright © 1951, 1972 Western Publishing Company, Inc.
A really nice post today. 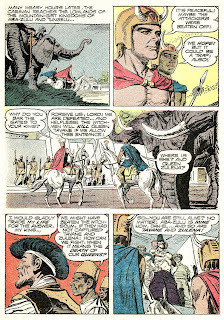 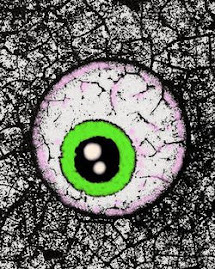 I remember this stuff with fondness.